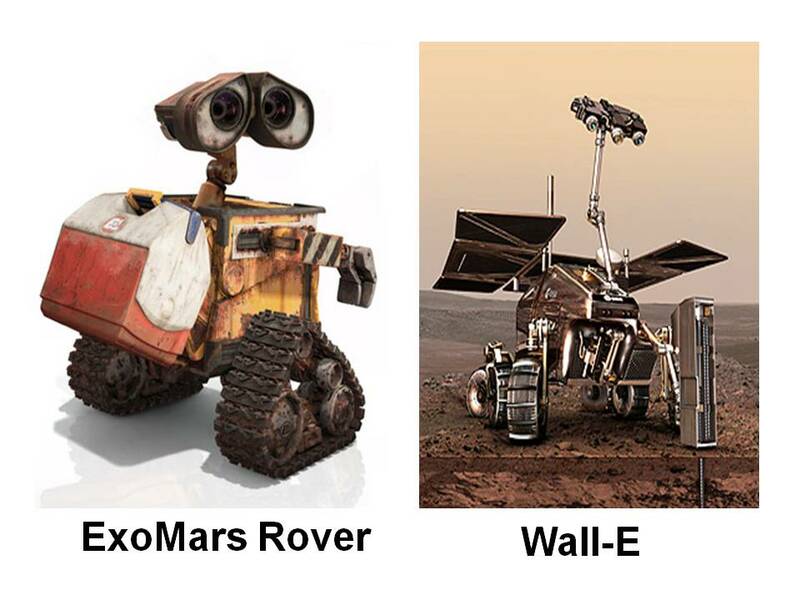 I’m struck by the remarkable similarity between the depiction below of WALL-E, an absurdly comical fantasy robot that exists only in the realm of Science Fiction, and the European Space Agency’s Exomars Rover. I wonder if by any chance they might be related? P.S. Thanks to Rigsby Matt Griffin for this one! This entry was posted on January 30, 2010 at 6:34 am and is filed under Astronomy Lookalikes with tags European Space Agency, Exomars Rover, WALL-E.	You can follow any responses to this entry through the RSS 2.0 feed. You can leave a response, or trackback from your own site. Are the legends on the figure deliberately reversed?